Europe’s space community rang in the New Year with two of its brightest annual fixtures: the European Union (EU) Space Policy conference in Brussels and the European Space Agency (ESA) media briefing in Paris. The events brought out all of the relevant voices and served to illustrate not only the disposition of materiel and troops but also their intent and even the level of morale. Insights from ESA briefing can be found in a news article in the “360 Degrees” section here. Here we will focus on the broad range of personalities and sentiments expressed at the Brussels event. Elżbieta Bieńkowska, the EU Commissioner for Internal Market, Industry, Entrepreneurship, and SMEs (DG-GROW), i.e., the “Space Commissioner,” opened the Space Policy conference with good news about Galileo. After a troubled 2014, she said, 2015 turned out much better. The European Commission (EC) will continue to build Galileo in 2016, striving for a speedy deployment schedule, including another batch of satellites that will enable the launch of initial services before the end of the year. “This is a challenge, but I count on ESA to make it happen,” Bieńkowska said. So, if it doesn’t happen, we all know whose fault it is. Galileo, Bieńkowska said, is not just an infrastructure; the EC is working to ensure that citizens get the full benefits, by promoting greater private and public uptake, with space data and apps expected to proliferate into many fields. And the commission will also work to identify and exploit synergies with the defense community. All of which fits in nicely with Bieńkowska’s new main priority in the space arena — the EC’s 2016 European Space Strategy initiative. Although details are still fuzzy, the general idea seems to be to come up with “an ambitious strategy” to promote innovation and competitiveness in this key sector, to be adopted in the fall of 2016. Of course, it will encompass all of the EU’s space initiatives, not just Galileo. And Bieńkowska repeated her call for improved governance, something we found surprising when she said it last year, coming, as it did, on the heels of a major governance breakthrough for the EC-ESA-GSA triangle. By governance, we understand, she probably means cooperation among all the governing bodies, including national agencies, and, again, not just with respect to the Galileo program. “We must recognize the increasing role of the EU in space strategy,” Bieńkowska concluded. Many themes and topics were covered at the Brussels event, and some recurring threads emerged, including, of all things, the importance of culture. But first, a bit more on the nuts and bolts of Galileo. Matthias Petschke, director of EU Satellite Navigation Programs at DG-GROW said the “recovered” satellites 5 and 6, the ones launched into anomalous orbits in 2014, will ultimately serve a useful purpose, perhaps in relation to the Galileo search and rescue (SAR) service. “We are not writing them off,” he assured his audience. He also reported good progress on the Galileo ground segment and repeated Bieńkowska’s announcement of initial services this year, including the Public Regulated Service (PRS). The much-anticipated Commercial Service (CS), however, is not likely to be ready, Petschke conceded, and indeed the details of how it will work have yet to be finalized. “Culture,” with a capital C, and a diversity of it, are defining characteristics of the European character. Proof: although English was the working language at Space Policy event, a fair number chose to address the conference in the more poetic language of Molière, slightly fewer in Italian or German. Jean-Yves Le Gall, president of France’s CNES, drew the conference’s attention to the unexpected passing, just a day earlier, of the British musical artist David Bowie, who’s portrayal of an astronaut in his classic song ‘Space Oddity’ inspired millions. The mention of Bowie drew an unusual and heart-felt round of applause from the room. The Europeans do, after all, know good culture when they see it (or hear it). Europe is a diverse place, and so it can be misleading to pretend that there is a single unitary European culture at all. But we might generalize, and many did at the Brussels conference, about the effectiveness of the communication practices among the European space community. Buzek saluted Johann-Dietrich Wörner, the new Director General of the European Space Agency (ESA), referring to one of Wörner’s more forward-thinking ideas. “Your ‘Moon Village’ idea seems crazy,” Buzek said, ‘but maybe we need a crazy idea.” Fifty years ago, he recalled, the United States turned a crazy idea — sending a man to the moon — into half a century of technological excellence and space achievements. Ehrenfreund, by the way, is the person who replaced Wörner as DLR’s Executive Board chair when he went off to head up ESA. Turning again to culture and communication, Ehrenfreund continued, “Solutions that work in the U.S. don’t necessarily work here.” She said Europe shouldn’t be afraid to talk about its successes, including the Rosetta mission, and she lamented, as had van Nieuwenhuizen, the crippling lack of venture capital in Europe. Taking a welcome break between sessions, we sat down for a chat with Carlo des Dorides, executive director of European GNSS Agency (GSA), the organization tasked with delivering Galileo services, to see if he could explain a few things. The Commission is currently undertaking highly confidential negotiations for third-party access to the PRS, including with the US. And we know that manufacturers are moving forward with the preparation of PRS receivers. Is the 2016 date for initial services achievable? After all, we’ve seen too-optimistic timetables for Galileo before. Des Dorides said the timetable is realistic. In October, he said, if all goes according to plan, the first tests of initial services will be undertaken. What kind of performance will we see? Des Dorides said initial PRS pilot projects are planned, and the SAR service will also be launched on a limited basis. Just as Petschke acknowledged, the CS, des Dorides said, is not ready, but it is coming along and will feature high accuracy and authentication. 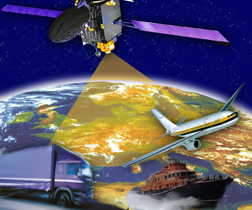 The world as a whole certainly is benefiting from the development and deployment of new global satellite navigation systems. The current scenario sees at least four major systems delivering worldwide coverage within the next 10 years, and most future receivers being able to use all of the signals at any given time. So, is this really the most efficient way to run world navigation, with four overlapping systems, each with its own complete hierarchy, from political to technical to operational control? Wouldn’t it make more sense to consolidate at some point and save a little money? Back on the Space Policy conference program, we saw some serious discussions about data and defense taking center stage. Philippe Brunet, the EC’s director for Aerospace, Maritime and Defense Industries at DG-GROW, responded to a question from the audience on the wisdom of releasing Copernicus-generated Earth observation data for free, and then seeing companies like Google using it to create exciting new apps and services. Google then offers such services to its users for free, essentially undercutting any potential opportunities for European (or any other) small- and medium-sized enterprises (SMEs) to use this data to develop and sell their own apps. Next June, he said, the EU’s new global strategy on security and foreign policy will be unveiled, with DG-GROW coordinating and with input from the European External Action Service (EEAS). Space will be an important element in this new strategy, Brunet confirmed. He pointed to the example of weather satellites that serve average citizens every day but also provide crucial information for military operations. Other notable speakers took the stage in Brussels, lending words of wisdom and strong encouragement of a more political nature, including Vice-President Antonio Tajani, but we fear we may already have tarried too long in the European capital.